Announcement: Rich as a King is now an e-book. Unclear as to the advantages of an e-book over a paperback book? Keep on reading and we’ll let you know. What’s so great about an e-book? Instead of carrying heavy books around, you can load several different books on your device and read a variety of literature wherever you are in an easy-to-read format. Environmental benefits. Going paperless saves trees and other resources involved with book production and shipping. 1-2-3 acquisition curve. As long as you have internet access, you can download books from either online bookstores or your local library. Programs like Overdrive and Amazon Prime make literally thousands of books available to you at the touch of a button. Reduced costs – e-books can be borrowed from libraries or purchased. You can also use the BitLit program, which provides you with a free e-book version of any physical book that you already own. There are many different type of e-book readers. Let us know your favorite one in the comments below. 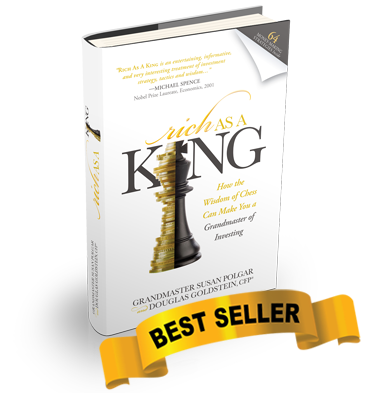 It’s very easy to get your Rich As A King e-book. Since we subscribe to BitLit, if you already own a physical copy, you can now download the e-version for free! Simply go to the copyright page and at the bottom on the left you will see a square that says, “Bitlit.” Follow the easy instructions there and you will receive a free e-book. If you haven’t bought the physical book, Click here to buy the Kindle version of the book. Now you can open all the links! To enrich your experience of reading Rich As A King, we included various links to videos (see a sample video here) and bonus materials (see a sample here) that we couldn’t fit into the book as it would have taken up too many pages. With the Rich As A King e-book, you can now click on all of these links and access them immediately, rather than having to wait till you get to a computer. Click here to buy the Kindle version of the book.